Der Artikel Thunderwar: Wolfpack (Limited-Edition) wurde in den Warenkorb gelegt. Old school worship! As soon as you get in touch with the songs of this Polish band, you will feel like you are reminded of legendary metal days. Come into life in Warsaw in 2012, THUNDERWAR are paying tribute to bands like DISSECTION, BATHORY, DEATH, OBITUARY and the 1980ies NWOBHM. ...and much more! After all, the quartet is not content to only emulate their role models. The Poles are also anxious to leave their own accents in the annals of metal. Thus one got to know and appreciate THUNDERWAR on the first EP »The Birth of Thunder« and the full-time debut »Black Storm«. The five songs of the »Wolfpack« mini album continue the chosen path. The Polish group works out even more clearly and compellingly which kind of metal it prefers. This metal is tradition-conscious, harsh and hymnal, but at the same time also complex and exciting. 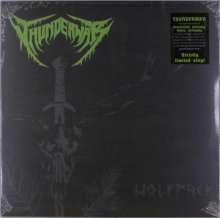 Great riffs, solos, hooklines and poses are part of THUNDERWAR’s repertoire. The Old School Blackened Death Metal of the quartet has it all! 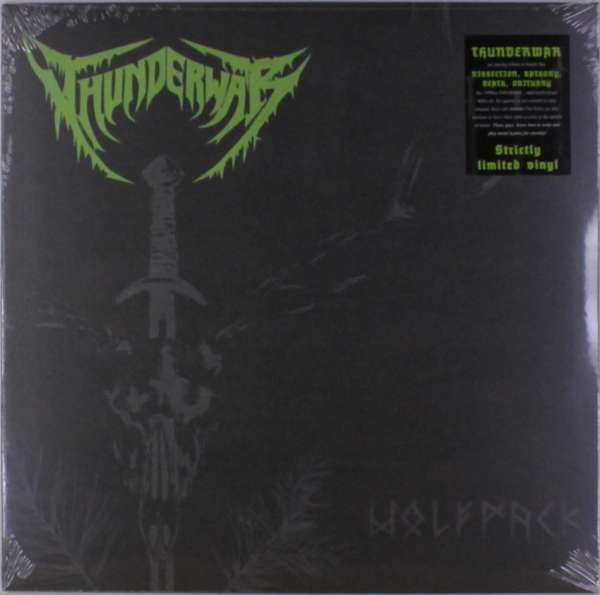 Incidentally, the atmospheric and playful edge of THUNDERWAR’s metal is surprising and inspiring. These guys know how to write and play metal hymns for eternity! The »Wolfpack« mini album was recorded in Monochrom Studio with producer Haldor (Satanic Audio). Drums were performed by Paweł ›Pavulon‹ Jaroszewicz (HATE), while James Stewart (VADER) filled in for the last live shows of THUNDERWAR. Over their time of existence, the group shared stages with legends such as CARCASS, MAYHEM, AMON AMARTH, ABBATH, DEATH (D.T.A. ), OBITUARY, ASPHYX and SINISTER.